You should review the recommended treatment with your family dentist. If you would like a second opinion, feel comfortable in arranging for one. 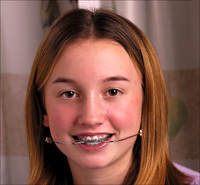 You may have already had more than one orthodontist recommended to you by family, friends or your dentist. Seeking out a member of the AAO assures that your second opinion is from an educationally qualified orthodontic specialist. You should feel confident in the orthodontist and his or her staff, and trust their ability to provide you with the best possible care. The initials after an orthodontist’s name indicate the academic education of the orthodontist. For instance, DMD and DDS indicate that the individual is a graduate dentist. M.S. or MSc indicates that the individual has achieved a Masters in Science degree, usually associated with orthodontic training. DipOrtho indicates the individual is an orthodontist.